lots of homemade chicken burgers too ! 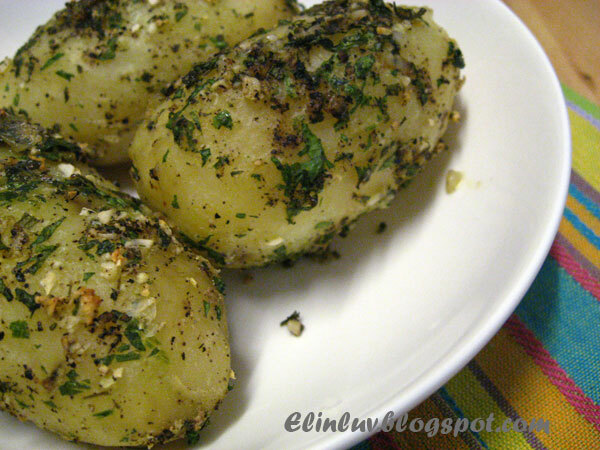 Enjoy this simple and easy Herb Roasted Potatoes ! I like this simple herb roasted potato, next time must prepared this when I make grilled meat. 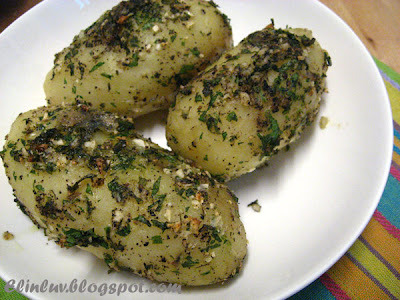 I love potatoes too! I just got back from Argentina, where I had fries with every meal :) I was in heaven. 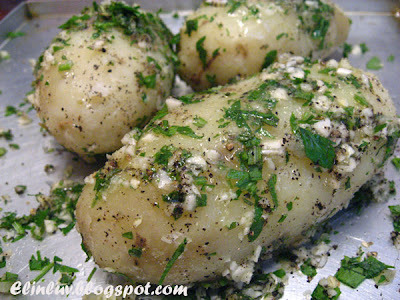 this is great to go with bake chicken too, yummy. This is one classy potato! 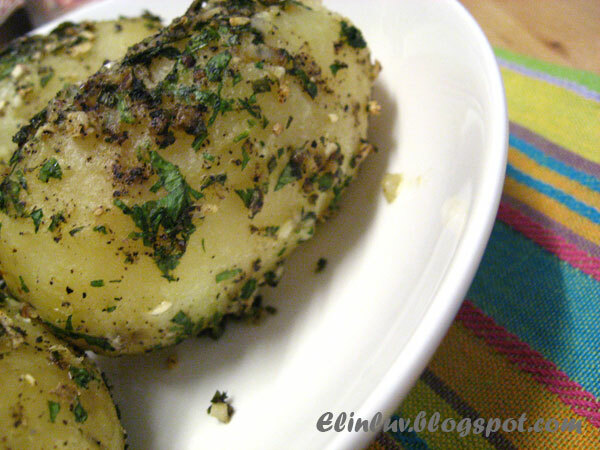 Easy yet full of flavor and we are talking about potatoes. Yum! My daughter loves potatoes too... I'm ok with them - love mashed potatoes the most. Perfect potatoes. I love a good potato. Yukon gold are my favorite. They'd be great with your herbs. 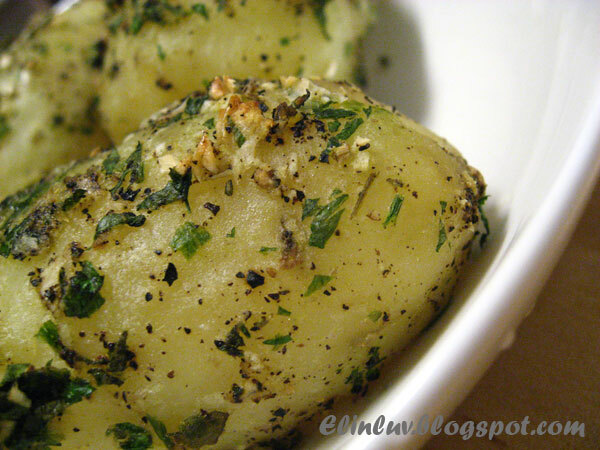 Potatoes aren't such a bad thing. They contain lots of potassium and other vitamins. Have a good day! I can already imagine the aroma filled house of potatoes and herbs. Sounds like such a great idea. I wouldn't be able to resist this if I made this. It's hard not to like potatoes. They are so versatile and adapt to any cuisine. 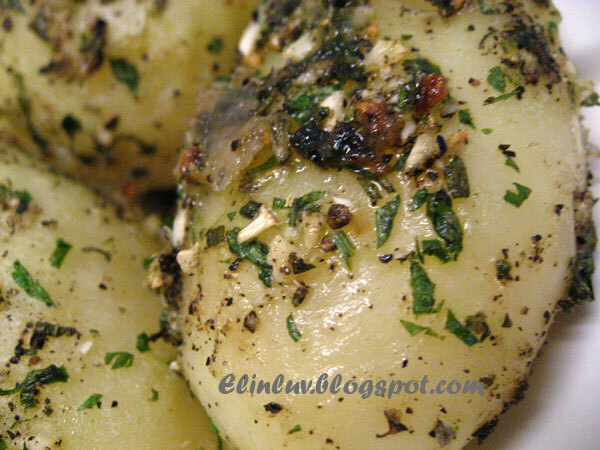 Being Italian, one of my favourite use of the potato is in my mom's gnocchi recipe. i like potatoes. would like to try your recipe some day! hehe...nice! 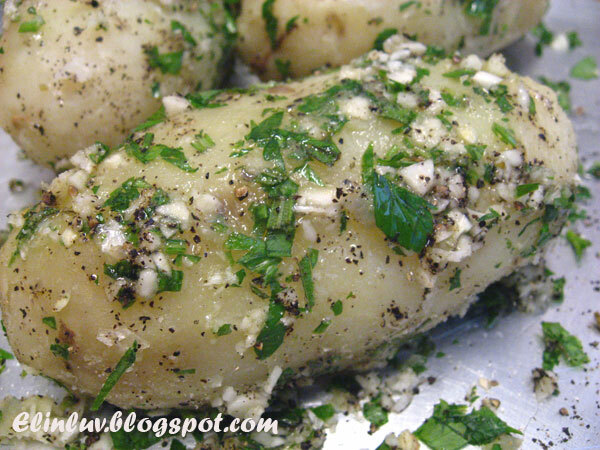 That is one beautiful potato recipe! I love it!